The convenience of public Wi-Fi networks is undeniable. We can work from coffee shops, check social media from restaurants or malls, or connect to Wi-Fi from a hotel or another public-facing business virtually wherever we go. But with the amount of personal data stored on our online accounts, how can you safeguard your information from any prying eyes? Semi-open networks, also known as two-factor authentication (2FA) networks, require the user to enter an email address or to click on their terms and services before allowing access. Some internet service providers (ISPs) have begun to offer public hotspots to their customers for free, or to other users for a small fee. Due to the extra security to weed out the false users and internet robots, these semi-open networks are inherently more secure than those that allow instant connection for free. As well, semi-open networks boast a quicker internet speed due to less widespread public usage. Alternatively, using your phone to create a hotspot to connect your laptop or another mobile device to the internet is the safest way to access the internet in public as you are using your private connection. What is a VPN and how can it help you? VPN stands for Virtual Private Network. There are several types of VPNs, which take your outgoing data and channel it through an encrypted tunnel or a set of proxy servers to hide the traffic from you to the internet, making it appear as though the VPN is initiating the exchange rather than you. Encrypted data coming from the VPN can’t be read by third parties trying to steal your information, which gives your connection more security than should you proceed without using a VPN. As an added bonus, many VPN providers also include anti-malware or anti-spyware in their software for extra protection. Although a VPN will successfully block most unwanted attention while you browse the internet, a backup protective service is a built-in Firewall in the browser you use. Turning the Firewall on can help to prevent third parties from spying on your data, as it acts as a barrier between a trusted network and an untrusted network. While turning on your Firewall, you can also select which applications can access your information by clicking either the “advanced” or “allow a program or feature” options. Reach out to a Tech IT service to help you set up the right firewall for your needs. 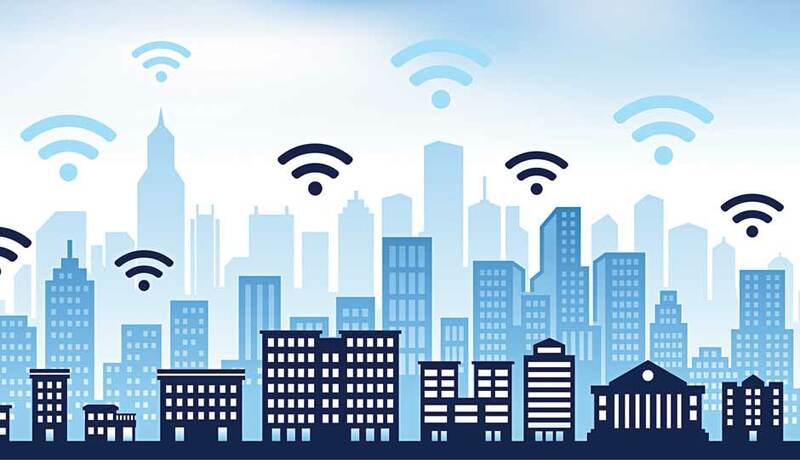 Using sites that are hosted on an HTTPS (Hypertext Transfer Protocol Secure), which supports an SSL (Secure Sockets Layer) connection, can provide extra security while you use public Wi-Fi. You will notice a green lock icon appear in the URL bar of the browser you are using, which indicates that the interactions between the site and your browser are encrypted and secured over an unsecured network, such as public Wi-Fi.